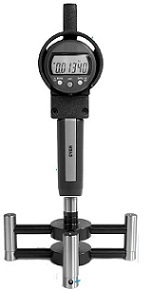 Digital bore gages are typically engineered with a LCD screen and an extension shaft. 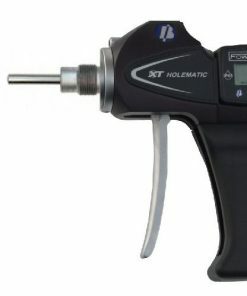 With a 2- or 3 point contact interchangeable anvil system, electornic bore gages are recognized as comparative instruments used for measuring the roundness of inside diameters, tapers and holes. At Willrich Precision, our company has been serving the metrology and gaging industry for nearly 50 years. Founded in 1971, we have been a trusted retailer of sophisticated precision measurement instrumentation since our inception. 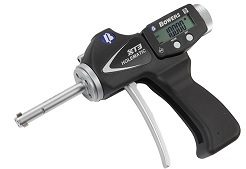 You will be able to find advanced tools, including digital bore gages. Our products suit a wide range of industries, including automotive suppliers, industrial plants, and more. Whether you are looking for digital bore gages that come with 2 point or 3 point contacts, you can definitely find high quality products you need from our wonderful Digital Bore Gage range at Willrich Precision. Since day one, we are highly committed to helping all our clients clinch the best deals so that you can enjoy greater savings. 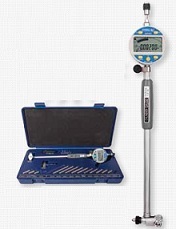 Start browsing through our inventory for top quality digital bore gages today. 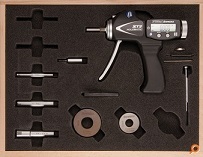 You never have to look elsewhere for leading metrology products!